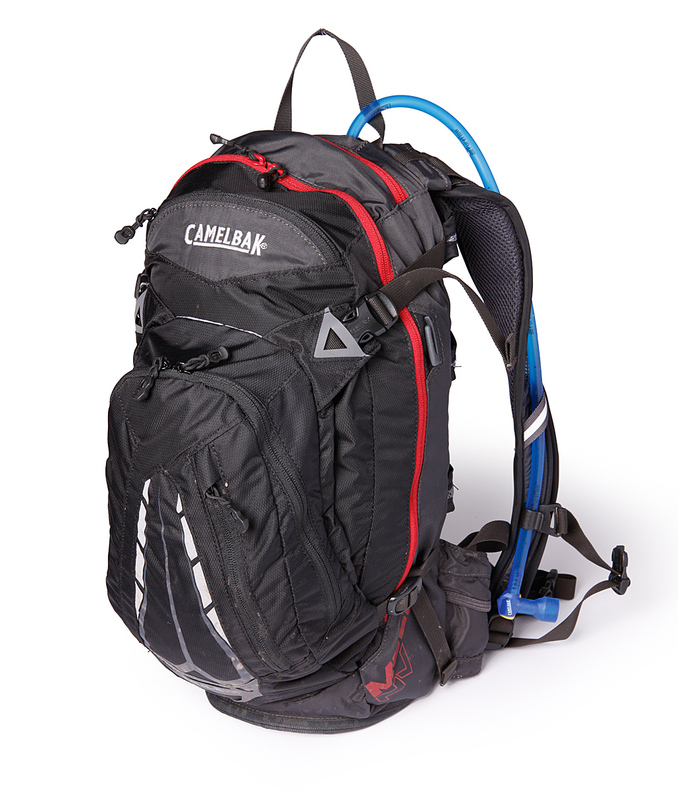 On the outside, the 2013 CamelBak Mule NV looks the same as last year, but under the skin it gets several updates and improvements. 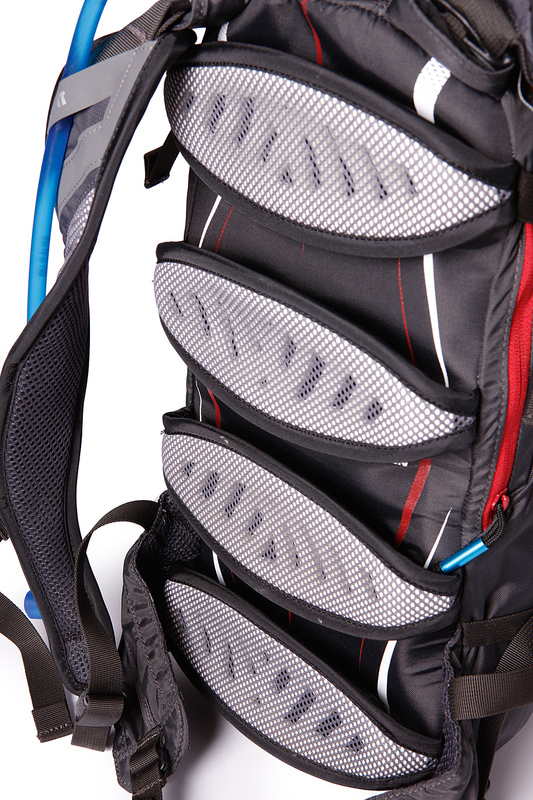 The main tweak is to the back panel, which now features four articulated pods that lift the pack proud of your spine, increasing airflow and venting. On the previous model the back panel had a predetermined curve, but the new pods concertina together as you lean forward so are slightly more body hugging. They also taper towards the outside, creating larger air intake channels. There’s a new helmet holder on the outside of the pack, which is basically two hooks into which you slot the straps of your helmet. It seems it’s here because CamelBak has reduced the size and stretchiness of the stuff pocket so you can no longer get a helmet into it. The styling and pocket arrangement are new, but the rest of the pack remains essentially the same. Reservoir access is through a three-quarter pocket at the back, but it doesn’t open as far as the standard Mule, and due to the stiffer NV panel I found it harder to engage a reservoir. The shoulder straps hang from D-Fit anchor points and are shaped and tapered to sit close to your torso, and feature some extra venting. The waist belt is no longer removable but does feature two small cargo pockets, handy for gels, keys and so on. A zippered ‘slat’ pocket has replaced the tiny stuff on the front of the pack, and internally there’s another tier of organisation. A soft-lined media pocket sits at the top of the pack and it gets a longer zip and wider opening — must be for those bigger phones. Down below there’s an integrated rain cover, which also gets a bigger opening and is easier to access. There are no changes to the Antidote reservoir — it has a clip-off hose, lockable bite valve and baffled internals for quick drying. CamelBak has made the cap open with a quarter turn, so you don’t need thumbs of iron to open it up. Compared to last year the weight of the NV has dropped by over 100g, which isn’t much in the grand scheme of things — your gear can weigh 1kg and three litres of water is 3kg — but every little helps. This review first appeared in the December 2012 issue of MBR.